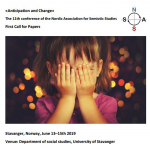 The overall theme of NASS XI is «Anticipation and change». Relevant topics include – but are not limited to – the semiotics of child development and human development in general, social change, cultural change, environmental change, ontogeny, and evolution. The anticipatory aspect implies that future studies and the power of imagination are also relevant topics, as are, potentially, learning and perception, expectation and prediction, foresight and preconception. 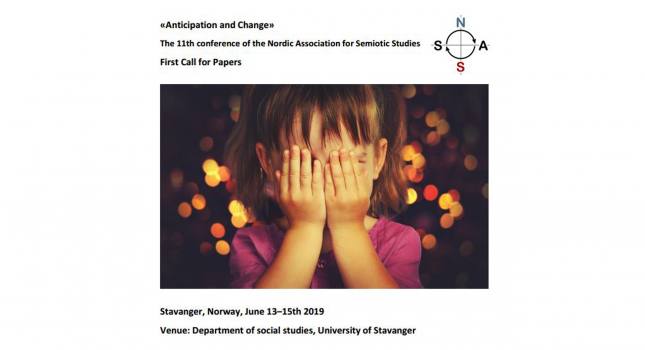 We welcome abstract proposals that approach these topics from a semiotic perspective and encourage interdisciplinary relations between semiotics and other disciplines.